Skilled thinkers and communicators stepping out with confidence. Clearview Primary opened in 2010 to meet the growing needs of the population of Rolleston, Canterbury. It opened with 170 pupils, which has rapidly grown to 650 pupils in 2015. Selwyn District where Rolleston is located, was the fastest growing district in New Zealand in 2012. Projections are this growth will continue over the next ten years and our school may reach 900 students in the future. 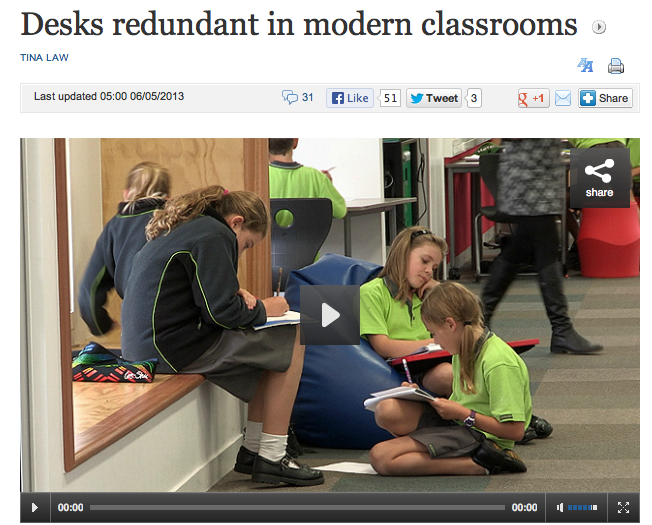 We are a decile 10 school. Clearview prides itself on being a state of the art, cutting edge school catering for the needs of children in the 21st Century. Typical features of our learning environment include meeting places for students, places where adults share wisdom with the young, private and secure places and great learning spaces – all designed with the needs of children, staff and parents in mind. Homebases are fully networked with creative technology solutions. Garden spaces encourage a variety of learning experiences. The grounds of the school cover 3.5 ha of land. The design maximises usable outdoor spaces with plenty of shelter for the students. There are currently thirty three homebases (classes) operating at Clearview Primary. The supportive community that surrounds Clearview Primary is diverse with a strong sense of family. There is great pride in the community. These characteristics encourage many couples and families to the area. Establishing a new school is an immense challenge. The initial focus for our school was creating an identity and developing the systems required to run a school efficiently. As our journey has progressed, we have begun to combine the elements of school design, pedagogy and best practices, especially with the opening of our Stage 2 Modern Learning Environment in 2013. We believe at Clearview, that we are very fortunate to have an amazing facility, excellent faculty and leadership and an opportunity to create a 21st century learning community.